This week on the AppleInsider podcast, Victor and Mike discuss Foxconn's IPO of an IoT group, Apple's self-driving vehicle news, and Mike educates the world on the relative lack of danger from Wi-Fi. Also special to this weeks' podcast, Victor interviews Sonny Vu, former CEO of Misfit, the wearables and IoT company about what he's working on next. A U.K. lawsuit against Google for bypassing iPhone Web tracking safeguards now includes 4.4 million people listed as plaintiffs, and is aiming for up to 3.2 billion pounds ($4.29 billion) in damages. Apple may have shipped just 600,000 HomePods during the March quarter, according to an estimate published on Thursday, giving it 6 percent of the fledgling smart speaker market. Google News has replaced Google Play Newsstand on iOS, directly competing with Apple News. Both services have their clear benefits, but which one wins out? This week on the AppleInsider podcast, Victor and Mike discuss Apple's drone project, Jony Ive and post-Jobs products, and a virtual assistant from Google that that phones people to schedule appointments just like a real assistant. ARCore 1.2, Google's updated augmented reality framework, includes a new cross-platform feature called 'Cloud Anchors,' which can allow both iOS and Android device users to share the same AR experience despite using different underlying AR technologies. Google launched a new machine learning SDK called ML Kit, which provides a way for developers to add machine learning-based features to their Android and iOS apps, with Google's new framework following almost a year after Apple introduced the similar Core ML platform. Google on Tuesday teased upcoming changes to Google Maps, among them augmented reality support and a concept called "VPS," short for "visual positioning system." At its annual I/O developer event on Tuesday, Google revealed several planned upgrades to Google Assistant, further widening the gap with Apple's Siri. 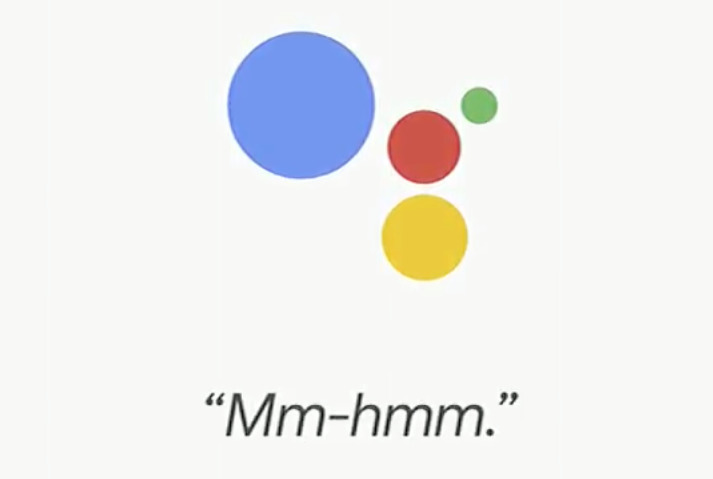 Google has previewed some of the changes it will be making to the Google Assistant app for iOS at the Google I/O keynote address, including food delivery and smart home-related requests, and an experimental feature where the digital assistant makes calls to businesses on the user's behalf. Consumer tech reporting by Bloomberg spent the last year aggrandizing Google's Pixel business while portraying Apple's iPhone X as a miserable, disappointing failure--supposedly informed by sources "familiar with" Apple's supply chain. Oddly enough, while Bloomberg's reporting on iPhone X was disastrously wrong, it made no effort to look for troubling concerns among Google's suppliers. Google's payments to remain the default search option on Apple devices like iPhones and iPads may be set to slow down, a report hinted on Friday. Google's Advanced Protection Program -- intended strictly for people needing maximum account security, such as journalists, activists, and politicians -- now supports iOS' core Mail, Calendar, and Contacts apps. Editorial: Will Apple's 1990's "Golden Age" collapse repeat itself? Once, long ago in a previous epoch of technology, Apple Computer, Inc. commissioned a new headquarters in Northern California just as it began losing its position as a leader in personal computing tech in the early 90s. Could history repeat itself in our modern era?